Replaces the lower section of wood-framed wall that is most susceptible to mold & moisture damage. New finish materials are immune to mold & moisture damage. 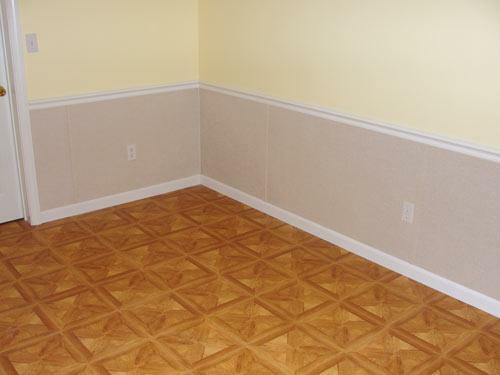 New wainscot requires no maintenance and never needs painting. 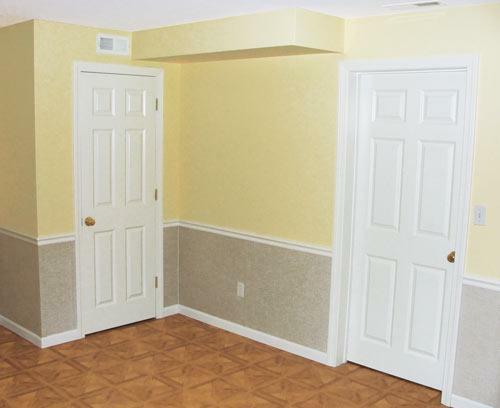 Neutral-colored wallboard goes with any décor. 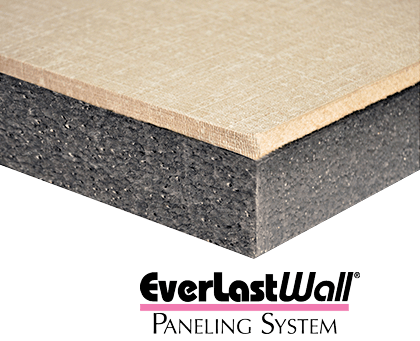 The EverLast™ Wall Restoration System is only available from a certified installer in your area. Contact us to request an inspection & get a free cost estimate to have it installed in your home. As easy as 1,2,3. The first step is to remove all framing, wallboard and insulation from the lower section of the wall. Then a moisture-proof new wall is built to join the old one: steel studs, vinyl-faced cement board and moldings made from moisture-proof plastic. 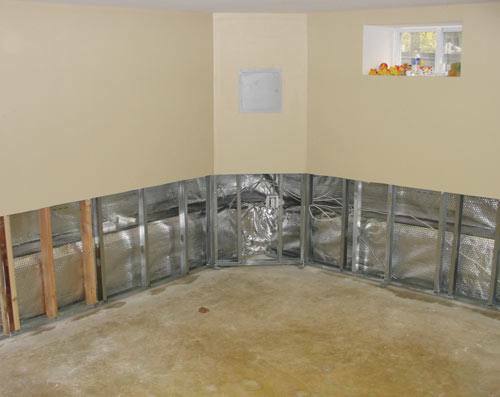 Instead of tearing out and totally rebuilding a basement wall that has been ruined by mold and wood rot, our Everlast Wall Restoration System enables the contractor to replace only the lower section of the wall. 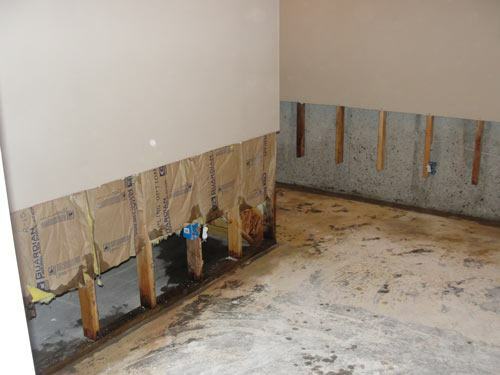 Basements walls built from “above-grade” cellulose-rich materials (framing lumber, paper-faced drywall, fiberglass insulation) are often ruined by moisture and mold. The damage is usually confined to the lower section of wood-framed walls, since the materials are absorbing moisture from the floor. 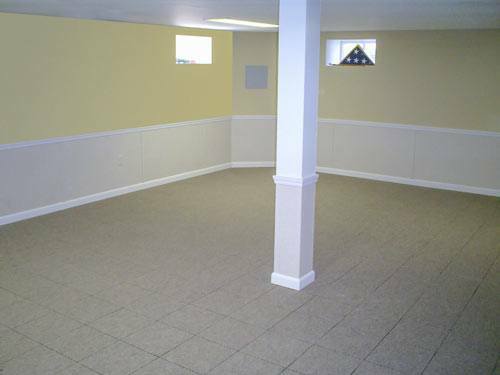 With the EverLast™ System, your Basement Systems contractor removes only the lower section of the damaged wall, replacing it with more durable materials. The wood-framed upper wall can’t absorb floor moisture, so it’s protected from future damage. 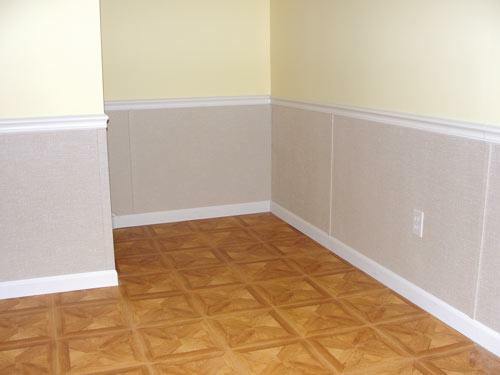 The new wainscot treatment that replaces the lower wall is built using steel studs, vinyl-faced cement board and PVC molding –materials that won’t attract mold and can’t be damaged by mold or moisture.